They say you can’t have too much of a good thing. But I am here to testify otherwise. 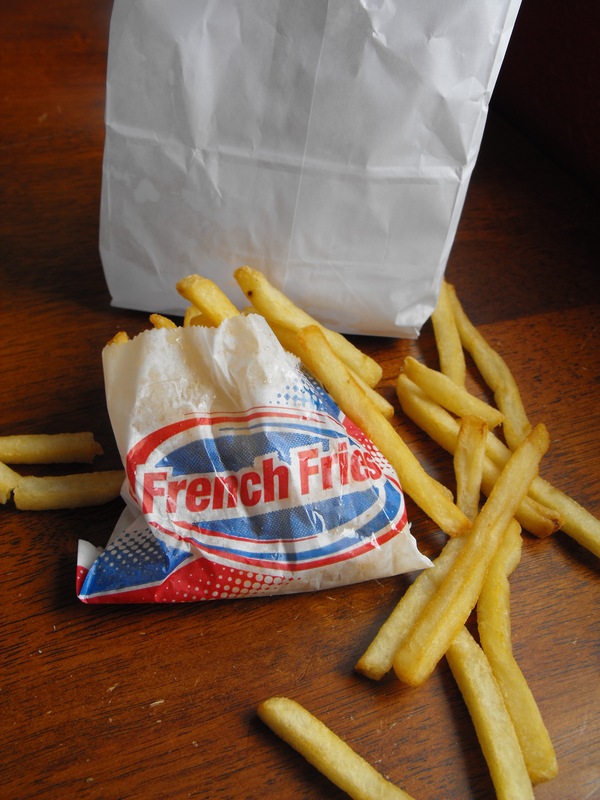 After taste-testing the 30 best fry joints in Utah, I never want to eat a French fry again. Too. Much. Of. A. Good. Thing. I am on French-fry overload. I’m burned out. Fried. My stomach feels like a giant grease ball and I have no desire to chomp another strip of golden grease-fried goodness again. Ever. I think I ate enough fries to melt my brain. When adding up all of the places I visited I realized I actually went to 31 places. That was definitely one to many. That said, there are some amazing places to get fries in Utah. But I wouldn’t vow to try them all in a 30-day time frame if I were you. You’ll end up going on vacation for half of the month like I did and then taking double and triple doses of fry stacks each day to make up for lost time. Drive-through cashiers will look at you bug-eyed when they see three fast-food bags on your passenger seat as they hand you a fourth. Restaurant managers will question your single-fry to go orders and look at you like you’re nuts when you rush your three boys inside their front door in their pajamas just so you could meet your daily fry quota. Why did I do this? Because I’m a stay-at-home mom who sometimes gets bored. I wanted a little adventure in my life before I hit my third decade on earth. I thought it would be cool to try the 30 best fries in Utah in 30 days before my 30th birthday. I did it. It was amazing at first, but at the end I was dying. Yet I finished it. Despite all common sense I threw health caution to the wind and bit the French-fry bullet. 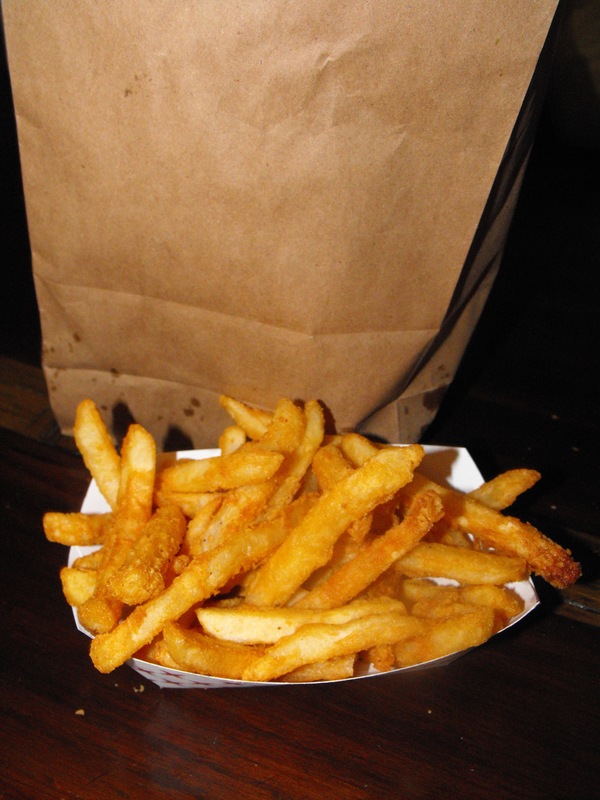 So, I bet you are dying to know, what are the best fries in Utah? Below are my top 5. They are all so different that I couldn’t rank them in order from best to worst. But if you want to see my critique of each of the 31 spots I tried, read on. I’ll tell you what I loved and didn’t love about Utah’s greasy potato strip joints. Let me know what your favorites are. I’m sure there are other great places I didn’t try. Maybe someday I’ll feel like checking them out! Tonyburgers, Five Guys and Taggerts barely missed the top 5. They were great too! I went to A&W early on in my 30-day challenge. The fries were fresh and good, but somewhat ordinary. I really liked them, but nothing really stood out. They were good for a fast-food joint, but very comparable to other fast-food stops like Burger King and Arctic Circle. 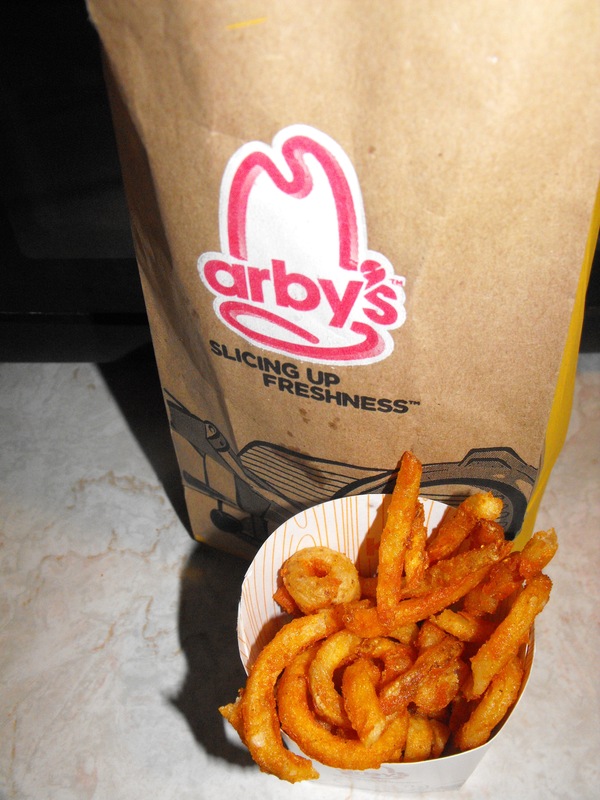 I love Arby’s fries because they are different. I love the curl and I love the seasoning. They really can’t compare to regular fries. They are too unique. I tried them this time with some Arby’s sauce but that was too tangy for me. So ended up eating them like I usually do – dipped in ketchup. They aren’t on my list of my top 5 favorite but they were really still really good! 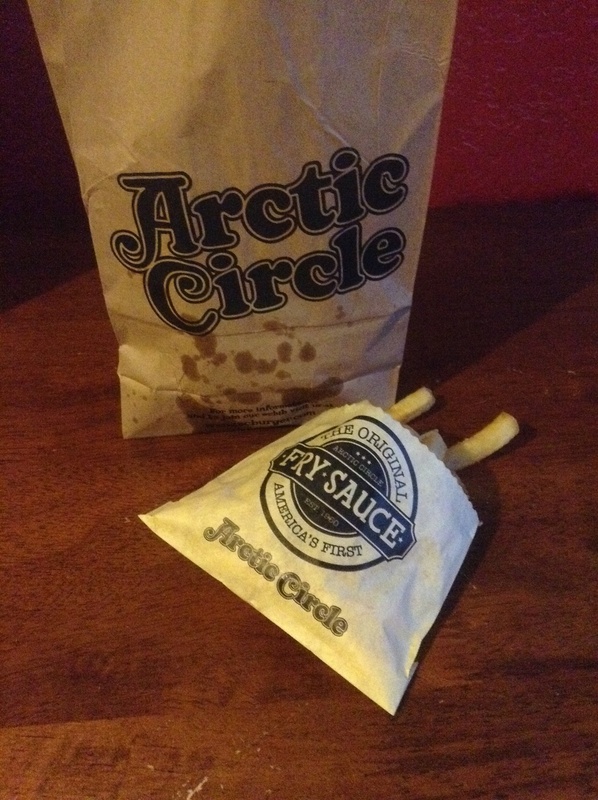 I was a huge fan of Arctic Circle before they switched to the Yukon Gold fries. Before they were small and soft, now they are still really good, but they seem to blend into the traditional fast-food fry category. They are golden, crispy and medium-sized. They are good fries, but compared to others, they are average. Best Burger’s fries are delicious. They are greasy, salty and crispy – everything I love in a fry. They are also the perfect size. Not to small and not too big. 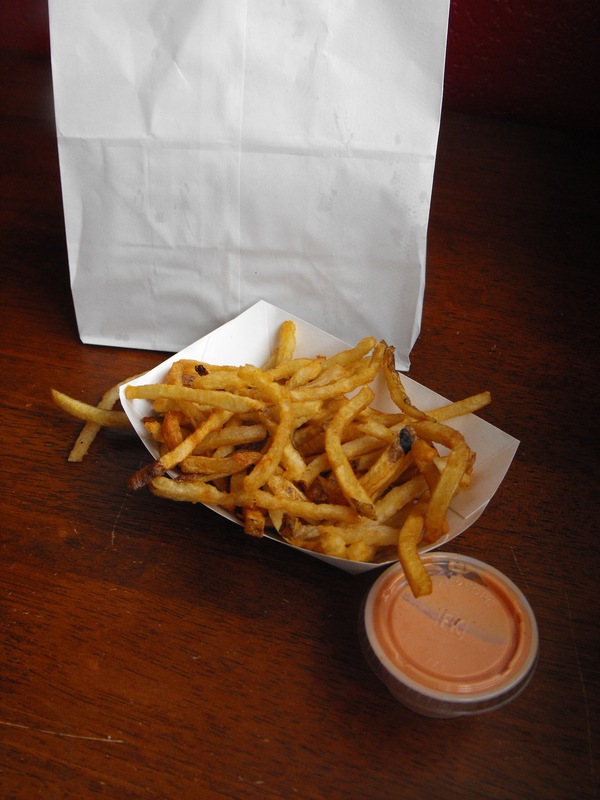 Not only are Best Burger’s fries delicious, but their fry sauce is really good too. It makes the fries even better. After tasting a bunch of different fries, I have decided that Best Burger belongs to what I like to call the Big Three. When it comes to fries Best Burger, Crown Burger and Big Jims fries taste basically the same. I love them but I know that if I’m craving salty, crispy, fry-sauce dipping fries, I can go to any of the Big Three and get pretty much the same bag of fries at each place. So, I’m going to say the exact thing for each of the Big Three. I thought I would never make it to Big Jim’s. 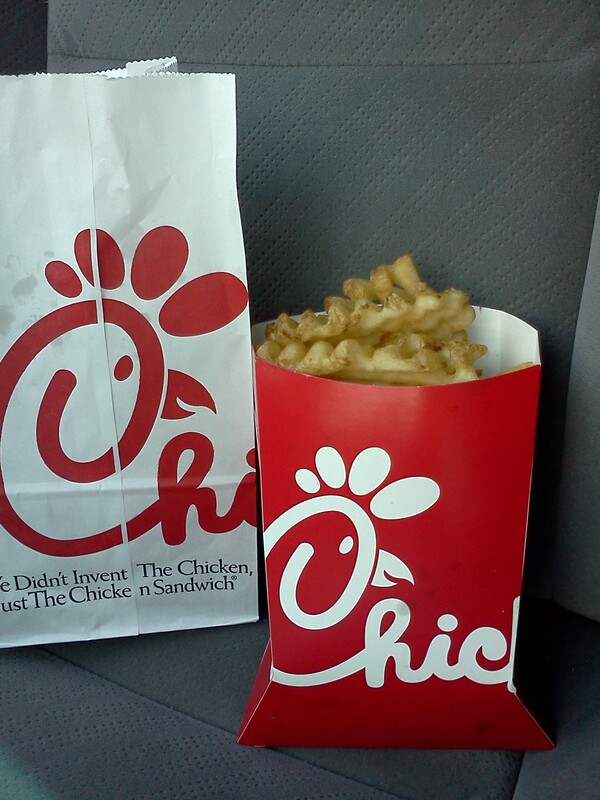 I drove there three times before I finally walked away with a delicious grease bag filled with fries. For some reason they close really early – even earlier than is posted on their drive-thru window. 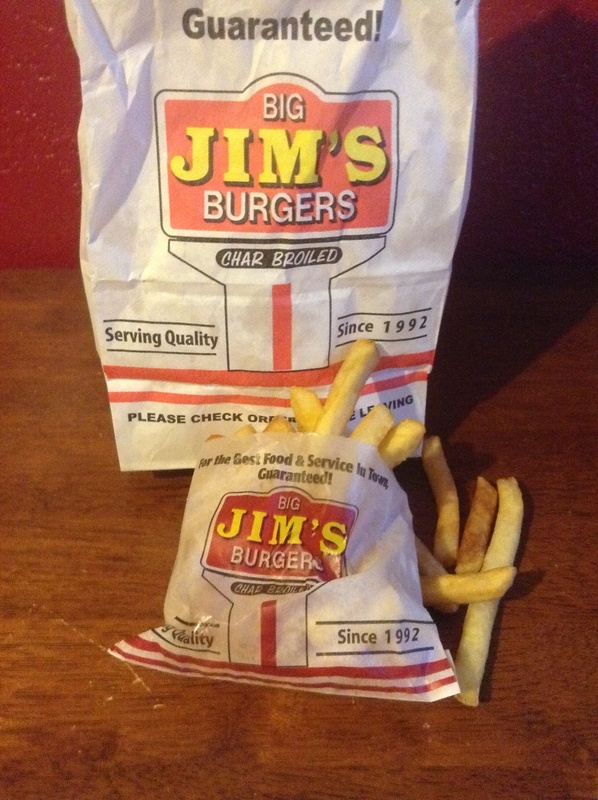 Like Best Burger, Big Jim’s fries are delicious. They are greasy, salty and crispy – everything I love in a fry. They are also the perfect size. Not to small and not too big. They too have delicious fry sauce. 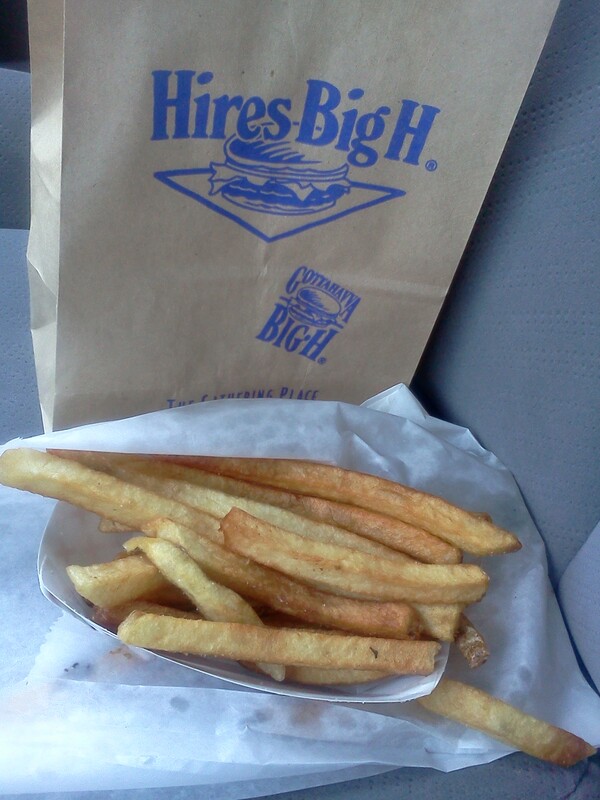 After tasting a bunch of different fries, I have decided that Big Jim’s belongs to what I like to call the Big Three. When it comes to fries Best Burger, Crown Burger and Big Jims fries taste basically the same. I love them but I know that if I’m craving salty, crispy, fry-sauce dipping fries, I can go to any of the Big Three and get pretty much the same bag of fries at each place. We have lived near Burger Bar in Roy for 8 years now and yet we have only been there a number of times. I really liked the fries there but there was nothing special to me about them. Then again, I didn’t ask for fresh-cut fries. Maybe that would have made a difference. The fries were good – don’t get me wrong – but they really didn’t stand out to me. 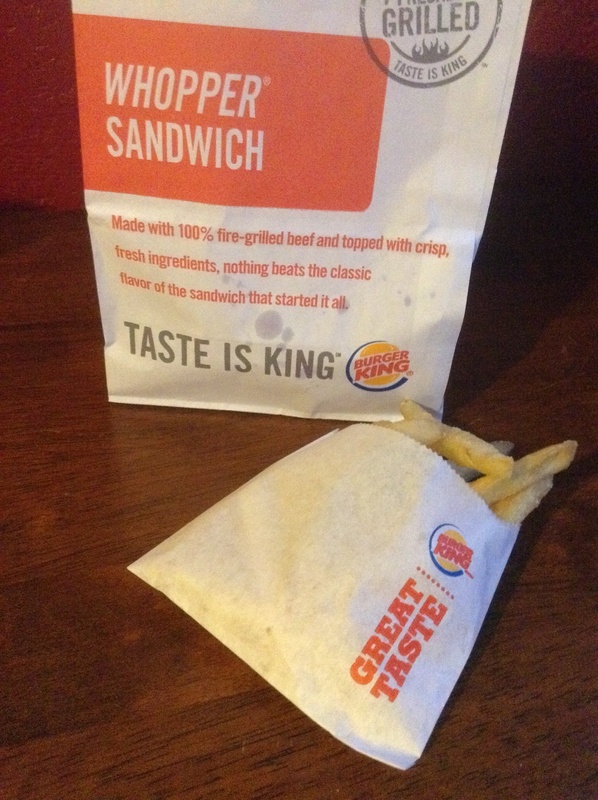 Burger King’s fries were warm, soft and good. But they too fall into my fast-food category. They taste a lot like the other fast food joints I went to – Arctic Circle, A&W, etc. They were good, but I wouldn’t go there just for their fries. What can I say about Chick-Fil-A? They have perfected the waffle fry. I love crispy fries and with waffle fries you get bits of crisp throughout. It’s like the holy pattern seals the crispness into the entire piece. I also loved how the fries had bits of peel on the end. That added to the texture as well as the taste. 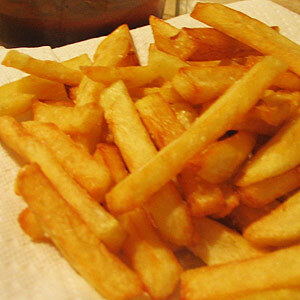 I don’t always use ketchup with my fries, but these are another batch that I dip freely. My boys and I grabbed these fries to go while driving in the van. They had the coolest little ketchup dipper package to go with. My only complaint? Get some better drink packaging. We ordered some waters to take with us. Unfortunately the styro-foam style glasses weren’t durable enough for my rowdy boys. They poked a hole in one of the cups while playing a straw game in the back seat of my van. Driving through South Weber with a leaky water cup made for a fun adventure. 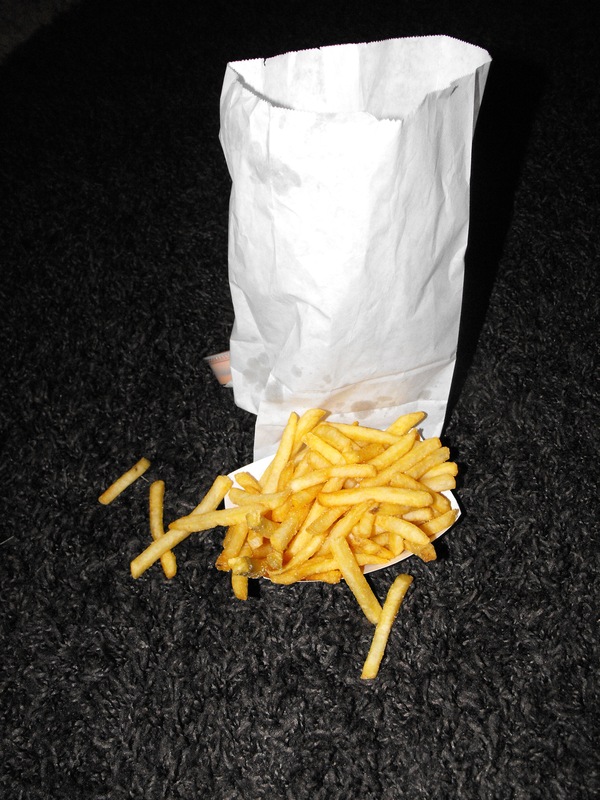 At least we had some tasty fries to hold us over while we wiped up the mess. I never knew that tucked back in on the side of 300 south and 111 east in Salt Lake City was a place that had some of the coolest fries I have ever seen. And tasted. I nearly gave up looking for this place. I had to park around the corner, hop out of the van and rush my boys down the sidewalk to see it. But we were glad we did. We ordered a small fry to go and waited a while to take it with us. When it was finally done, they brought it to us in a small brown box like a present. And when we opened it, we were presently surprised. Instead of a stack of skinny-shaped fries, there sat a lump of potato-wedge goodness. These “fries” were like salty, crispy potato pieces seasoned to perfection. 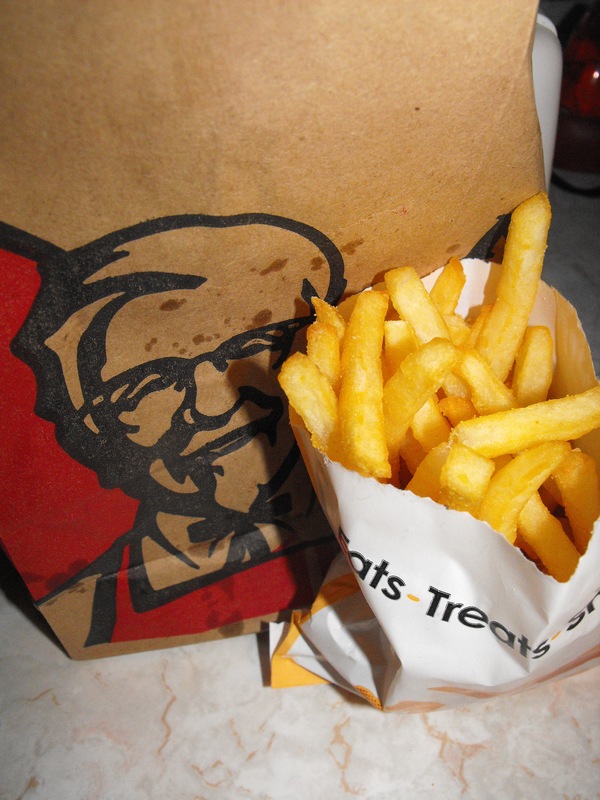 They were kind of pricey – especially compared to some of the other fast-food joints, but they were really good. I loved how unique they were. It was refreshing. 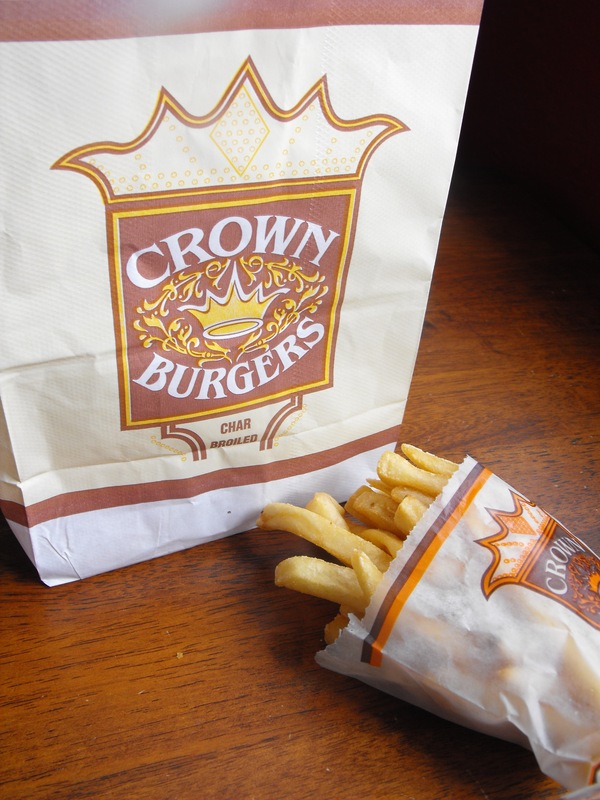 I have always loved Crown Burger’s fries and burgers. This time was no different. Crown Burger’s fries are delicious. They are greasy, salty and crispy – everything I love in a fry. They are also the perfect size. Not to small and not too big. 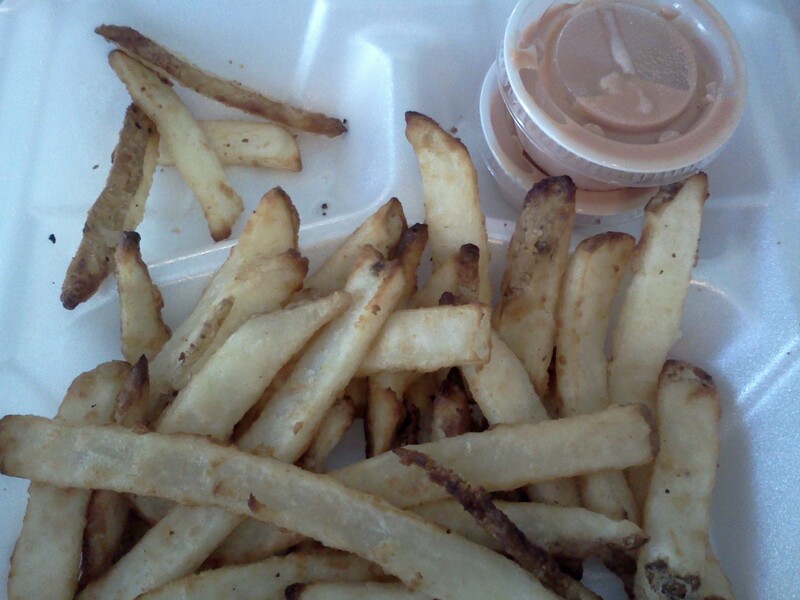 Crown Burger’s fry sauce is also delicious. It’s unlike any other. It’s thick and chunky – perfect dipping sauce for the perfect fries. After tasting a bunch of different fries, I have decided that Crown Burger belongs to what I like to call the Big Three. When it comes to fries Best Burger, Crown Burger and Big Jim’s fries taste basically the same. I love them but I know that if I’m craving salty, crispy, fry-sauce dipping fries, I can go to any of the Big Three and get pretty much the same bag of fries at each place. Ah Five Guys. When you walk in and see dozens of giant potato sacks next to the waiting area you know it’s going to be good. These fries are awesome. I love that they are freshly cut with peel pieces stripped to the side. I’m not sure, but I think they are fried in peanut oil, something that I think adds to the flavor. They weren’t exactly crispy, but that was OK with me this time. They were delicious! I had a great experience with Goodwood. 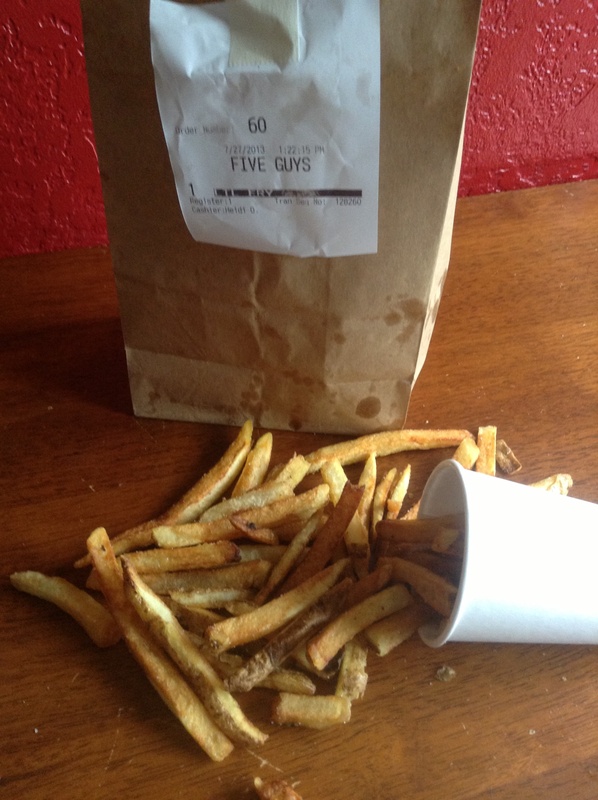 I called in late one night and asked for a small order of fries to go. Then I headed to the restaurant with my three boys dressed in pajamas. When I got there the manager knew my name, helped us through the door and visited with my boys while I picked my fries up at the bar. I loved the size and crunch of these fries. They were wide, but thin. Kind of like steak fries. They had just the right amount of salt and peels on the sides. These fries were really good. They were long, thick and covered in the perfect amount of salt/seasoning ratio. They had a crisp outer shell but were nice and soft and chewy inside. 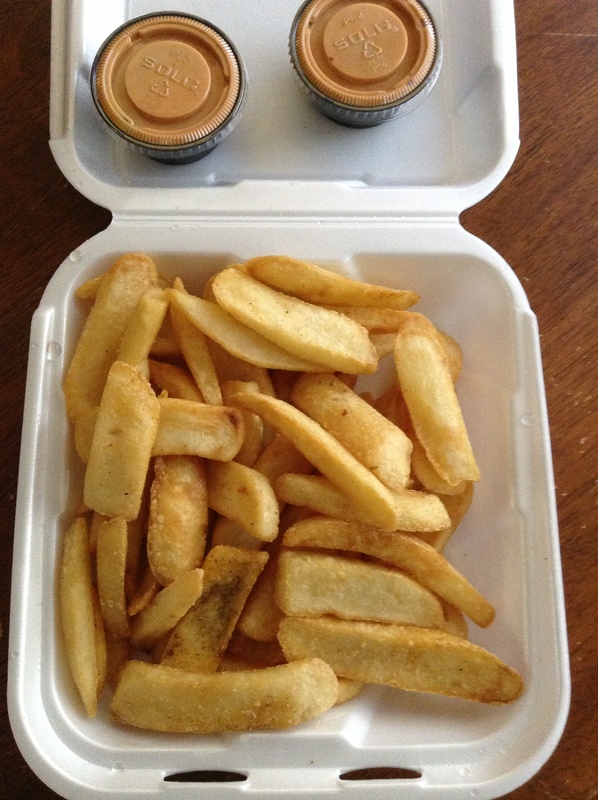 They also came with a cup of really good fry sauce. They were so good that I had to fight my five-year-old to finish the crumbs. 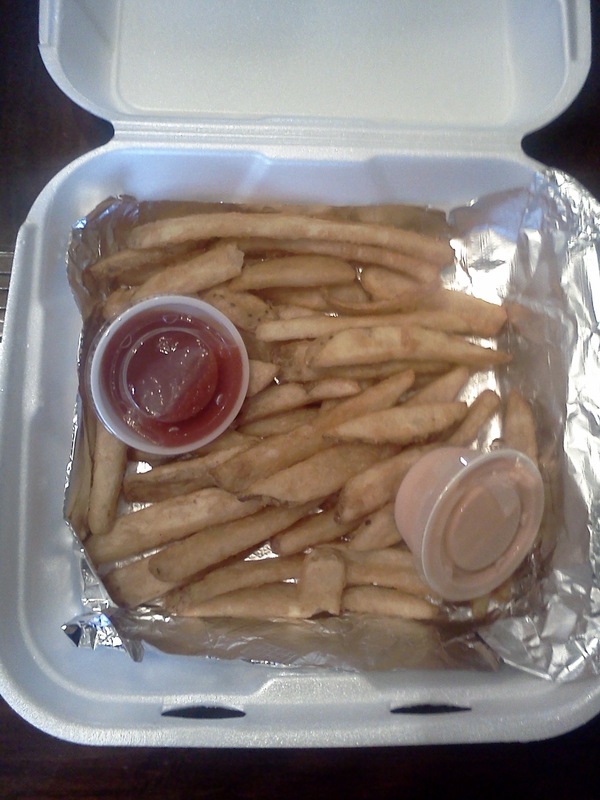 Iggys fries are definitely one of my favorites. They are crispy and golden on the outside, yet soft and fresh on the inside. Someone told me that they are twice-fried. That they are dipped in grease once then battered and dipped in grease again. I don’t know if that is true exactly, but I do know that whatever method they use is perfect. There are small flecks of batter caked to the outside of each fry making them crispy and delicious. Not only were these fries perfect, the restaurant gave me a giant portion for a tiny amount. It was awesome. Who wouldn’t love a large heaping of deliciously fried potatoes? My boys really love In-N-Out so I decided to grab us a burger and fries from the drive through on a Friday afternoon. I think all of Davis County was at In-N-Out. I’m not exaggerating when I say that there were at least 20 cars lined up to order their food from the drive-up window. That’s when we went inside. That place was definitely crammed. We had to wait for a long time to get our food. 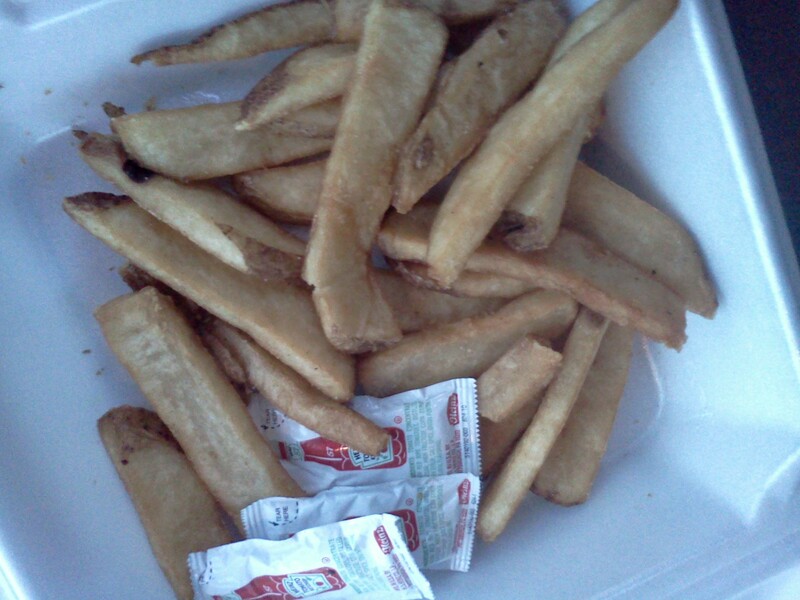 Sadly, after all that, this wasn’t my favorite batch of fries from In-N-Out. I normally really enjoy their small, soft fries. I love their size. We went to California last year and while we were there we toured the site of the very first McDonald’s. There was a small museum that housed equipment from some of the early McDonald days. Inside was a metal fry-cutting hand-cranked machine. Supposedly In-N-Out started using that same machine and still uses it today. 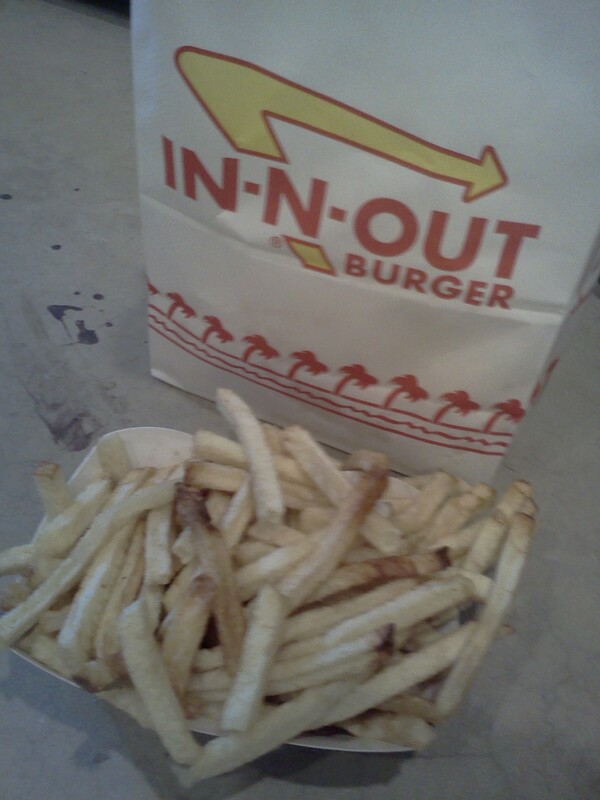 I don’t know if that is true or not, but I love In-N-Out’s fry shape regardless. They are cut into a perfect shape. 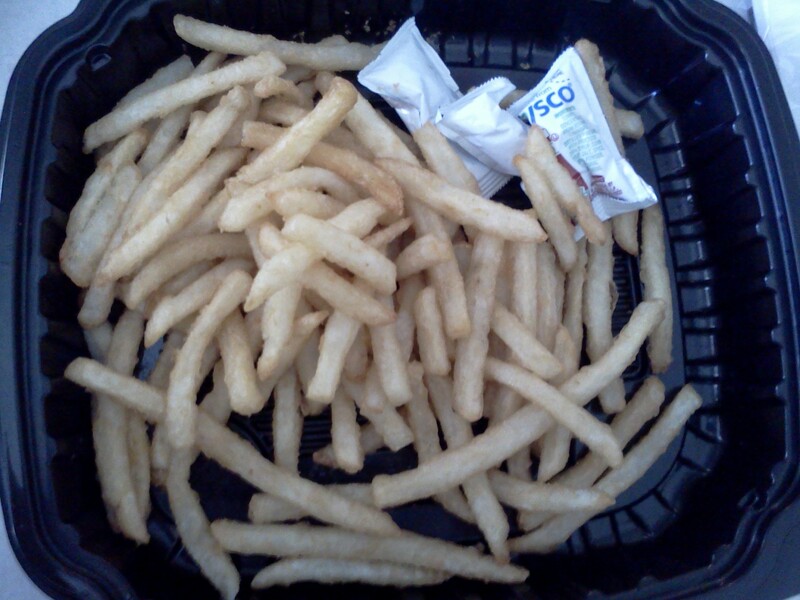 But the fries I got this time seemed soggy and limp. Not my favorite but I am sure we will go back someday. Especially if it’s my boys’ turn to choose. I ordered a small cheese fry from Jake’s Over the Top with some famous Jake’s sauce on the side. These were not my favorite cheese fries. The cheese was too hard and it peeled off of the potato before you even tried to put it into your mouth. The fries below were soggy. Actually the best fries were the ones on the side that weren’t even touching the cheese. Also, I didn’t really love the Jake’s sauce. I think it has too much barbeque taste for my liking and not enough ketchup flavor. My husband and I used to order fries from Jake’s Over the Top every Wednesday after a night class during our last semester of college. Let’s just say I wouldn’t stop there weekly like that if you asked me to today. 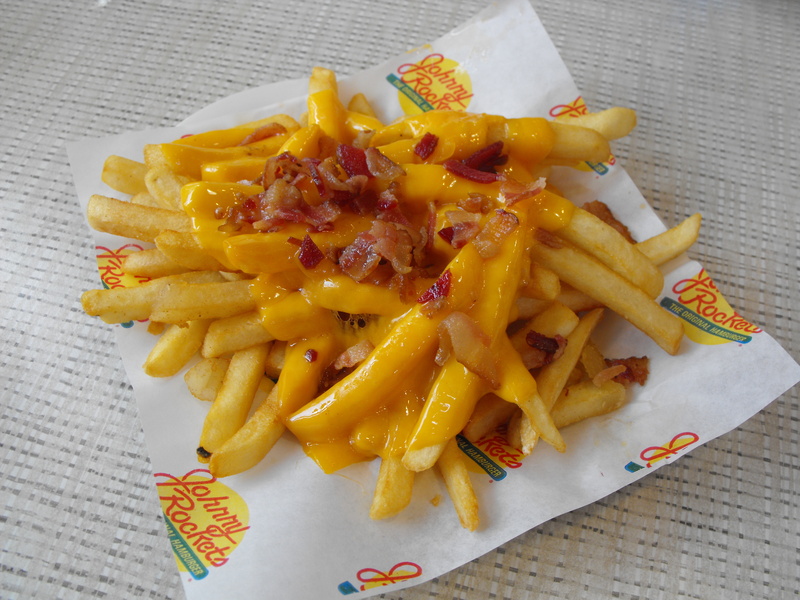 I had never been to Johnny Rockets but my friend recommended them so I took my boys one afternoon to try out their bacon cheddar fries. Anything with greasy bacon bits sprinkled on top has got to be good. I loved the size of the fries too. They were big and thick and easy to grab. They were definitely more expensive than the average fast-food joint, but since Johnny Rockets is a sit-down restaurant I expected that they would cost more. I only have two complaints. 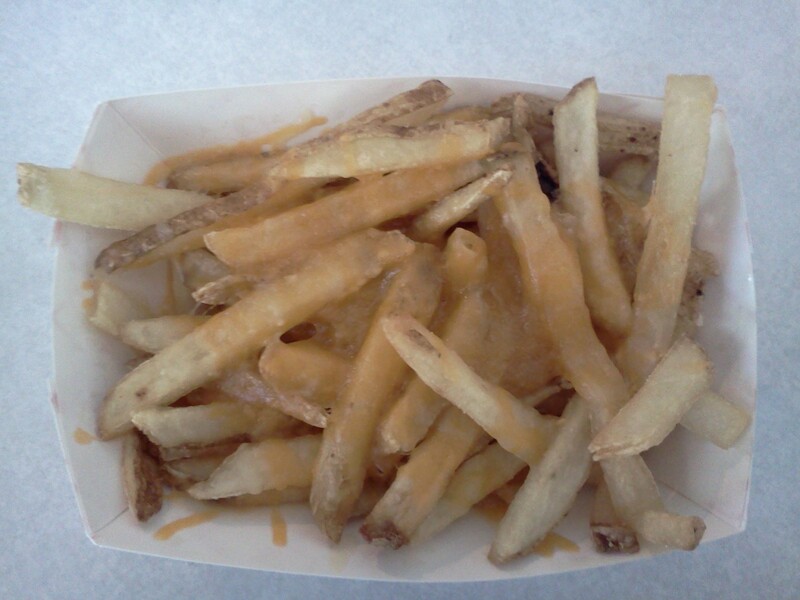 One – the cheese slid really easily off of the fries making it hard to eat them together. And two – the fry sauce was kind of bland. When we sat down, each of us was given a mini cardboard bowl that our waiter drew a ketchup smiley face in. That added loads to the atmosphere and made my boys really happy – we had to bring them home to show dad. 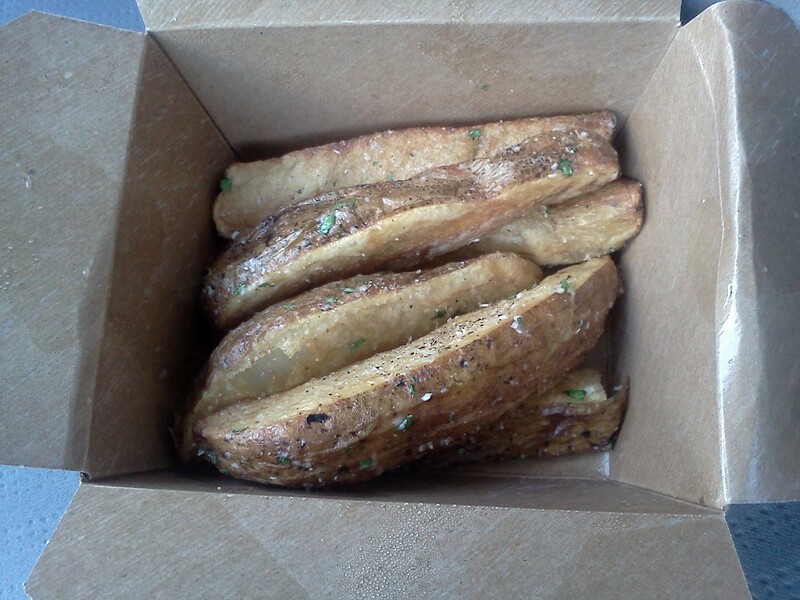 Oh, and as an added perk, when we finished the bacon-cheddar fries we were treated to a batch of regular fries for free. I was enticed to this place by their sign that said it served authentic fish and chips. I expected to get me a package of one-inch squared fried potatoes. I was sadly disappointed. 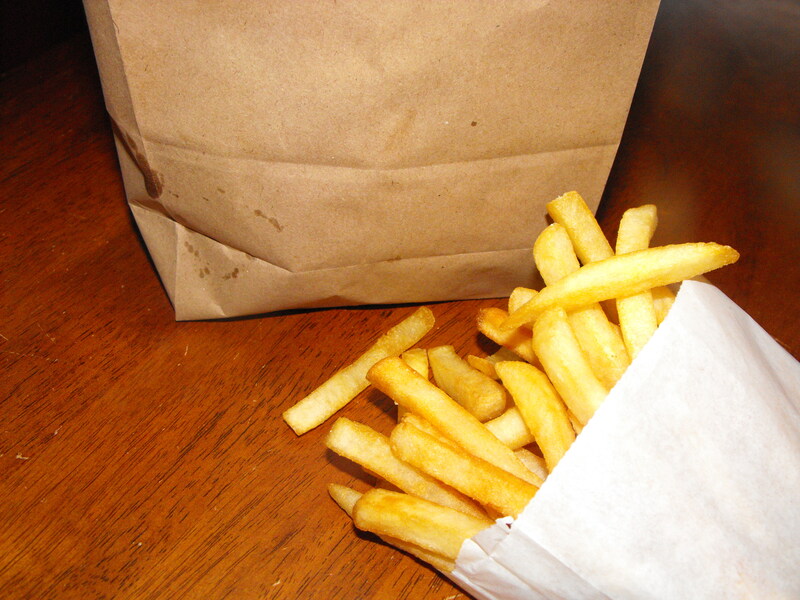 When I opened up my white paper wrapping, a stack of regular shaped Americanized French fries stared back at me. And they weren’t really that good. I wanted some traditional “chips” and got some mediocre fries. I won’t be going back. These fries were really good. They were golden and crispy and salted all over. They came to us fast and fresh and did not disappoint. Although they aren’t particularly unique, they were definitely good. 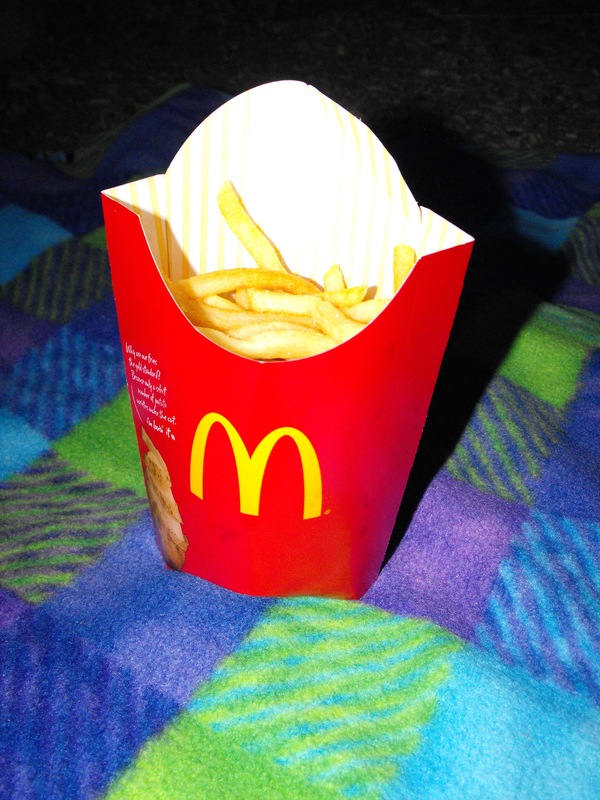 I have always loved McDonald’s fries. They are the type of fry I don’t even need to dip into a sauce. I love eating them plain, straight out of the box. The only problem with McDonald’s fries is you can occasionally get a bad batch. The night I tried these out I think they were a little old. They were sort of soft and soggy instead of crispy and warm. That said I still enjoyed eating them. And I will continue to eat fries at McDonald’s. I am border line addicted to them – maybe there really is an addicting ingredient that they put into the grease. They are definitely not a gourmet fry but they are quite possibly my favorite quick fix when it comes to eating fries. I have had these fries before and really loved them, but this time I was disappointed. To put it honestly, this batch of fries looked kind of sickly. Which isn’t good for hospital food. Each strip of fry was freckled up and down the side with tiny burnt spots. They weren’t as crispy as they have been in the past. It was almost like the burnt spots were the only parts that were cooked completely. Luckily I grabbed a couple of cups of fry sauce to help me eat this stack. I think this was probably just a bad batch, but it turned me off to going back there for a while. Paces fries were some of the best fast-food fries I have had. They were golden, yet soft – not crunchy. They were kind of ordinary, yet I still really liked them and they definitely filled my bag. I got my money’s worth. Each year I like to get Red Robin fries on my birthday. I love that if I order a burger or wrap it comes with a side of bottomless Red-Robin seasoned steak fries. This year Red Robin was the last batch of fries I tried and I had to drag myself into the restaurant to pick up my to-go order. Even though I was sick of eating fries by this point, I finished every last Red Robin fry. They were that good. I love that they are wide, yet crispy. I also love the salty seasoning sprinkled onto the sides. I love Red Robin’s fry sauce. It has just enough barbeque sauce to give it a kick but it’s not overwhelming. Red Robin has some of my favorite fries. Steph’s surprised me. I was expecting this small fast-food joint in Morgan County to have traditional, ordinary fries. But instead I found that they were awesome. They were battered and fried with extra batter attached to the sides. It tasted great and crunched as I ate my fries. They were crunchy and golden and great. I loved them. Tater tots. Not the traditional fry, but still a bit of potato bathed in grease and served up with ketchup. You can’t go wrong. I really liked the tater tots from taco time. I don’t like soggy tater tots and these ones had just enough crunch to make me happy, yet they weren’t burnt. They were really good with ketchup – so good that my boy and I fought over the crumbs. 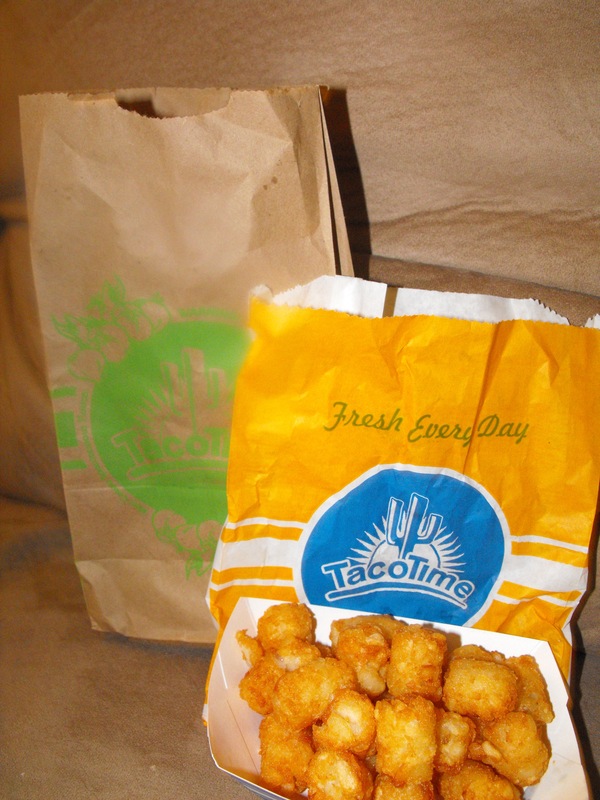 If you like tater tots, you’ll love them from Taco Time. Taggerts also surprised me. I was expecting this side-of-the-mountain restaurant to serve very ordinary, very normal fries. But their fries were delicious. They were soft yet battered and when dipped in their fry sauce they tasted great. They gave me a large order which I was then able to share with my family who all kept grabbing for more. 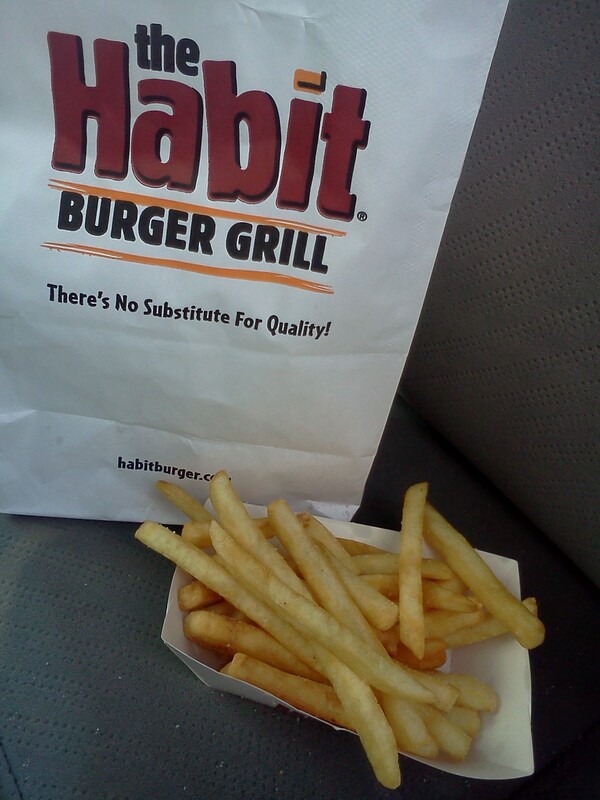 I may make it a habit of stopping by The Habit when I’m craving some fries. They tasted great. They were long with a shell that crackled when you bit into them. 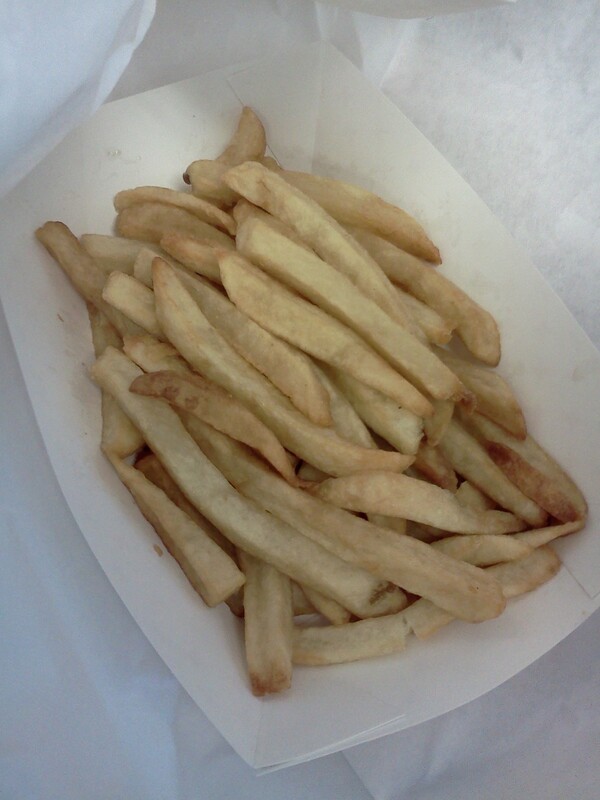 They looked a lot like some of the other fries I picked up, but they were really good. I think Tonyburgers fries are also fried in peanut oil. They have a great seasoning to them and they aren’t as crunchy as the others fries I tried. But I really liked their soft texture. They almost melted into my mouth. They had great specs of peels throughout and were splattered with a great amount of salt. These were definitely some of my favorites. I don’t know why there are only a few Training Tables left. Because if their business success was based upon how good their French fries were, business would be booming. I let my 7-year-old pick up the phone and order. We waited for what seemed like forever. So long that I was worried my son hadn’t ordered correctly. But finally the yellow light lit up and the phone buzzed us that our order was ready. 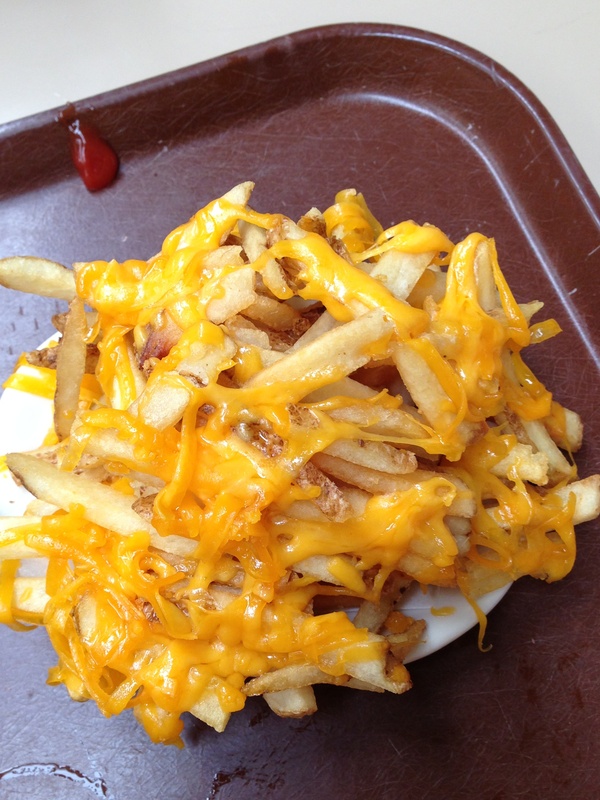 Sitting on a small white plate was a pile of beautifully golden French fries drizzled with melted, shredded cheese. The cheese pulled apart easily giving us a piece of cheddar with each and every bite. One word: delicious. Definitely one of my favorites. 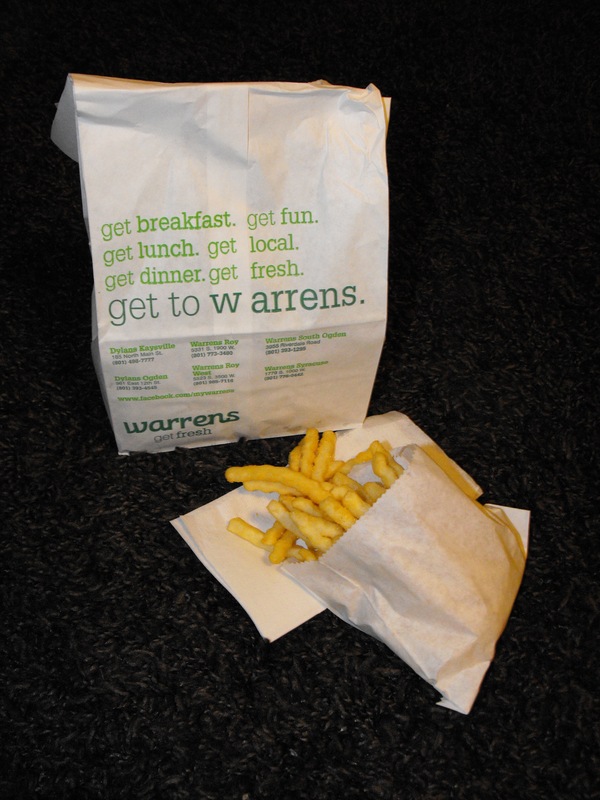 I have been to Warrens a number of times and have never really been impressed with the fries. But this time, they were really good. I loved the outer crunch they had as well as the seasoning that was sprinkled on top. They have a really unique zig-zag design that I thought was really fun. They were really fresh and golden. 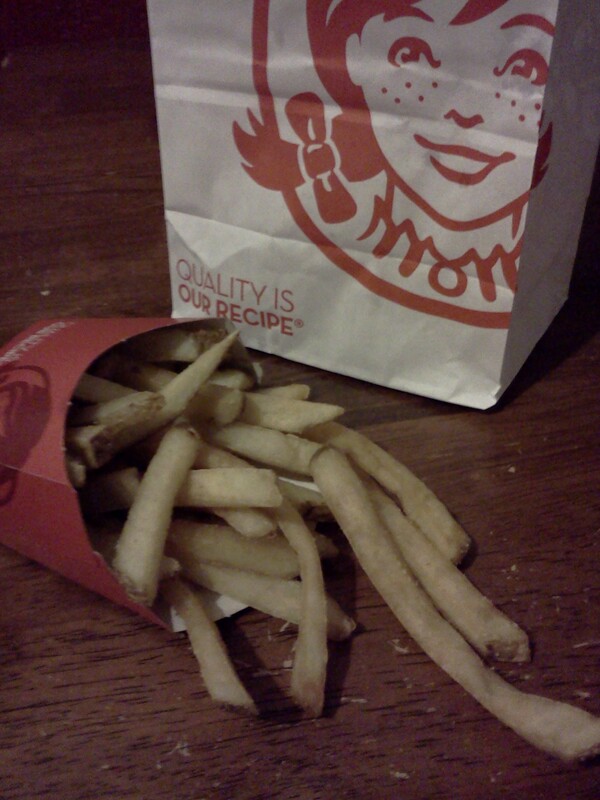 When it comes to fast food, I really like my Wendy’s fries. Although they are kind of salty – probably because they want everyone to experience the bliss of the new sea-salt seasoning – they are still one of my favorite cheap on-the-go fries. I like that they are a thicker fry with tiny bits of peel on the end. I don’t always eat my fries with ketchup, but with Wendy’s fries I dip happily. In 30 days I will celebrate my freedom from my twenties. I will crest over the hill into my third decade on this beautiful planet. Honestly when I think of my age I feel perpetually 18. And yet I have four little boys and a mortgage – crazy! I’ve decided I’m going to live it up this birthday. I love birthdays and this one is going to rock. Sure it’s a milestone and I am going to have to get used to it but most of my friends have survived the transition between 29 to 30 and lived to see another year. To help me ease into my 30s, I’m going to start celebrating 30 days early. How you ask? I’m going to indulge in one of my favorite things – French fries. I’ve come up with what I call the “30 in 30 for 30 challenge” to commemorate my milestone birthday. During the next 30 days I will try out the “best” 30 French fry joints this state of Utah has to offer. I love French fries and so why not? And no, I am not having a mid-life crisis. So, send me your ideas of the best fries to try. Even better, come with me to your favorite fry spot. I’ve started a short list below, but I’ll need to add to it. Near my birthday I’ll post my results. I’ll let you know which fries were saltiest, crunchiest, thickest, etc. I’ll be Utah’s own French fry connoisseur. This may be a challenge I regret. It may cure me of my late-night French fry cravings. 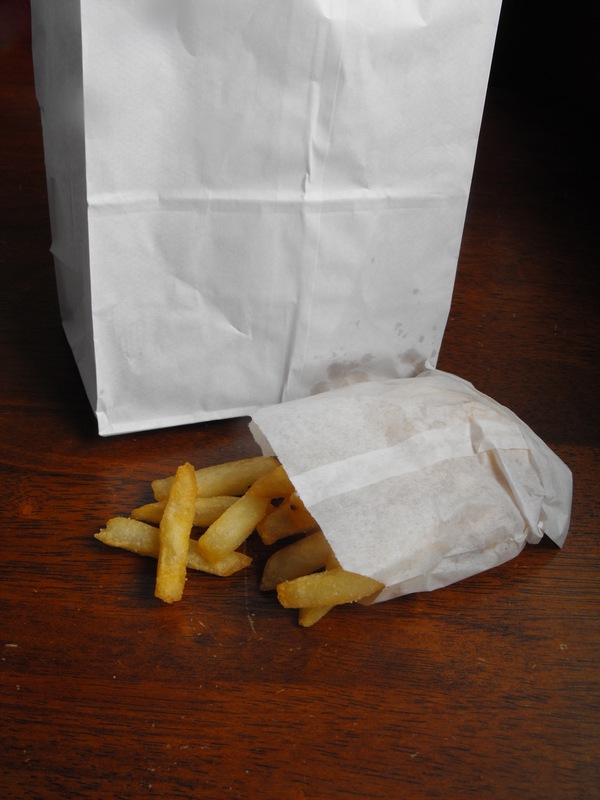 And because I don’t like to eat out on Sundays, and I am going to be on vacation for much of July, some days I am going to have to eat more than one sack of fries. My mouth is watering as I type this. Hopefully this “30 in 30 for 30 challenge” will keep me from wanting to get a tattoo or purchase a convertible.